Serene and sophisticated with ylang-ylang at the heart, the perfume weaves a slow enchantment, unfolding to reveal a gentle Tahitian vanilla and a heart of rosa centafolia-associated with Aphrodite, the goddess of love and beauty. No. 1 for women radiates like a weightless and invisible, flawless diamond necklace. Style Name: Clive Christian 'No. 1' Women's Pure Perfume Spray. Style Number: 197675. Available in stores. Clive Christian No.1 For Women Perfume Spray 1 Oz. 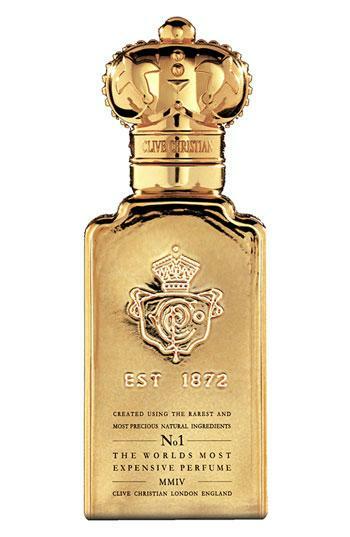 Clive Christian No.1 For Men Perfume Spray 1 Oz. Clive Christian Original Collection No.1 Masculine Perfume Spray 1 Oz.